Science has proven beyond the shadow of a doubt that each human life begins at conception. From this point on, the developing being is a unique, irreplaceable member of our human family. Sound public policy must reflect this definitive scientific consensus safeguarding the right to life for every human being at every stage of development irrespective of his or her age, health, or utility to others. Please use your influence as a major donor to persuade the Southern Policy Law Center to amend its embittering and unproductive campaigns to label any political or social issue opponent as a hate group. Although controversial, organizations that fight to protect the unborn and strengthen families are not motivated by hate. Vilifying them only worsens our toxic and polarized political climate. SPLC doesn't label just “any” political or social opponent a hate group and the label has nothing to do with opinions that differ from those expressed by SPLC. In fact, for the most part communications from SPLC are fact-based rather than opinions. Moreover, no one from SPLC has ever suggested that groups opposing abortion are hate groups. Furthermore, no one cares what motivates a group to become a hate group. The issue is whether or not they are a hate group — not how they got there. Clooney should use his (presumed) influence to do something (I am not sure what). SPLC was just dandy when it opposed the Klan, etc. Donovan is anti-choice and Planned Parenthood was started by a racist. White supremacists are in favor of abortion. Donovan was born in Kentucky and raised in Ohio. After college, Donovan became an anti-choice activist (along with an embrace of the other views of conservative Christianity). In the 1970s Donovan met Clooney's father. 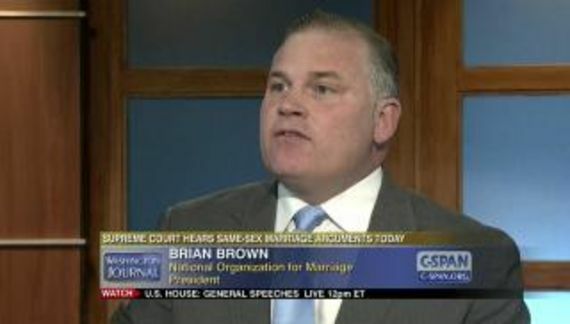 Donovan opposes marriage equality. SPLC libels organizations. Uh huh. So what does that have to do with anything? I guess I don’t expect you to fully accept this portrait of one SPLC target, but I do hope that you will consider it as part of your source information in these heated times. I also hope that you will take a closer look at a good number of the SPLC’s scattershot targets, including Alliance Defending Freedom, the Ruth Institute, Coral Ridge Ministries, and many more. The vituperation the SPLC levels at some public policy groups it disagrees with is part of the problem, not the solution. SPLC has expressed no views about Leo Johnson. Claiming that he is an SPLC target is dishonest. Johnson's employer, Family Research Council, is deemed a hate group and for good cause. That does not make them a target either. Furthermore, Donovan names other hate groups. Southern Poverty Law Center explains why each of these organizations is deemed a hate group. Absent from Donovan's treatise is any explanation of where SPLC is factually inaccurate. Absent from Donovan's treatise is any explanation of why, based on the evidence, the group should not be deemed a hate group. We have had paragraph after paragraph of irrelevant BS (mostly about Donovan) but where his opinion might be important, we get nothing but hackneyed rhetoric. Let me close by saying that more is at stake at this moment of history than partisan interests or causes. There is great ugliness on the national scene. God has given you the ability to speak to millions of people around the world and to capture their attention. As you express your views, and root them in your Midwestern upbringing and the hard work your career has embodied, please keep in mind that there are people just like you in all these respects who, because of different views on some questions, are being unfairly and even dangerously vilified. If SPLC is being unfair, as he claims, Donovan has not offered a word to explain why he feels they are unfair. ”Dangerously vilified” is a dishonest attempt to claim that SPLC is at fault for the shooting at FRC. That is Tony Perkins' assertion to avoid taking responsibility for any of the hate that he and his organization promote. Blaming SPLC for that shooting is like blaming the credit reporting agency when an angry customer who was turned down for a loan shoots a bank employee. Family Research Council is directly responsible for violence perpetrated against LGBT people who really are unfairly vilified. Perkins (who has direct ties to the Ku Klux Klan) claims, for example, that gay men are predisposed to being child molesters. It is a smear that has no basis in fact. Claiming that gay people pose a threat to children is a sure way to incite violence. If Chuck Donovan is really disturbed by the ugliness in our society then he should consider the source of much of that ugliness. Trump has taken center stage for incivility lately but these hate groups will be around long after his presidency concludes. These groups spread discontent and discord. 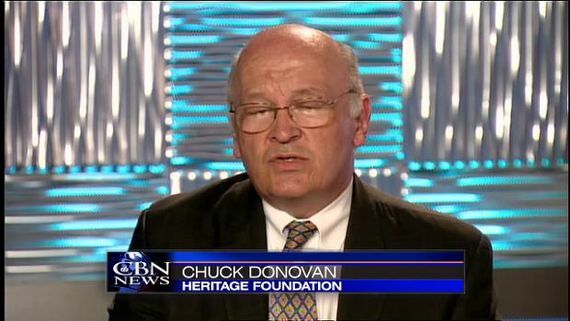 Chuck Donovan just happens to agree with their Christian views on abortion and marriage. It is positively shameful to suggest that agreement on some social issues means that those in agreement get a pass on promoting hate. It is also profoundly dishonest.